Created in 2015 by Pierre Godson-Amamoo and his wife Ama Godson-Amamoo, Your Cinema has become a thriving platform, partnering up with VUE cinema to showcase independent UK short films featuring and created by BAME talent as well as roundtable discussions. Aiming to fill the gap in the provision of BAME films in mainstream cinemas, Your Cinema was formed as a result of the lack of diversity within the media. When watching films that were set in ‘BAME communities’, Godson-Amamoo found that content creators ‘"didn’t really hit the nail on the head, simply because they weren’t made by people living that lifestyle"; many elements were inaccurate – from the slang, the stereotypical grimy estates to the youths concealed from head to toe with balaclavas and black attire – ‘"it just didn’t add up". Godson-Amamoo and his wife came to a conclusion that as a community "we can only tell our stories", and Your Cinema was born. 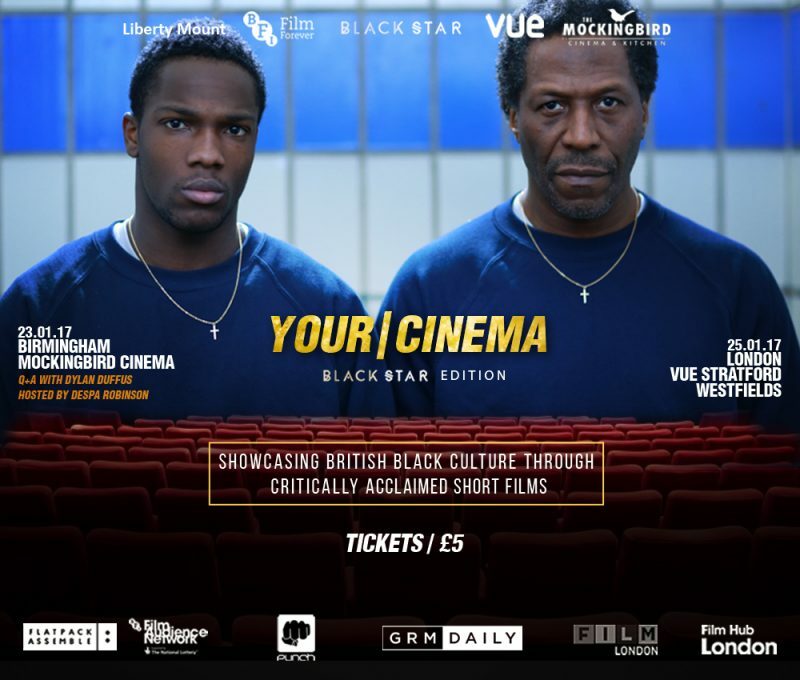 Kicking off 2017 with screenings in Birmingham and London, Your Cinema bought their audience the ‘Blackstar Edition’ in January, which presented some of the best UK short films from black and minority ethnic communities. House Girl was a coming-of-age film that explored the harrowing tale of a house girl in Ghana, while Bossman was a comical skit about a chicken shop owner, with plans to take his business to the moon! Although films varied from light-hearted to plaintive plots, each ended with an affirmative message – 'the value of looking out for others', 'being mindful that our actions have consequences' and finally with exaggerated emphasis ‘do not do drugs kids!’ Ending the event with a Q&A session from leading actors Dylan Duffus, Ashley Walters and director Daniel Alexander, the audience gained further insight and knowledge into the world of BAME creatives. Continuing to tackle the visibility of ethnic minorities, Your Cinema provided a great evening for BAME independent films, reflecting the cultures that we don't see enough of on the big screen. For any information on further events, follow Your Cinema on Twitter.